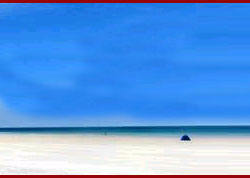 Located at a distance of 70 km. 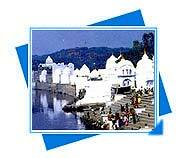 from Agra on the banks of river Yamuna, Bateshwar is an significant religious and cultural centre. 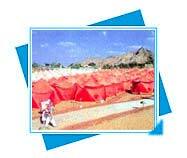 Dadri Mela is held at Dadri, which is 5 km. from Balia town. 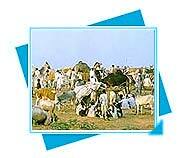 It is the place for the major cattle fair of the state. 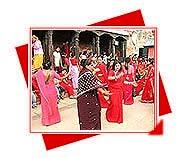 Held in Tulsipur (Balrampur, Gonda) throughout Chaitra Navratri, this fair is devoted to Maa Patan Devi. 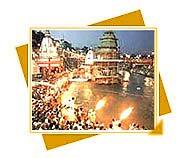 Varanasi is a city of festivals, which is balanced on the edge of time along the banks of an ever flowing river. 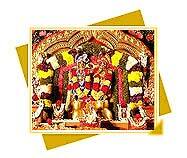 Sri Hanuman is worshipped throughout India-either alone or together with Sri Rama. 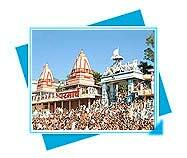 Every temple of Lord Rama has the murti or idol of Sri Hanuman. 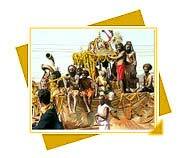 The birth of Lord Krishna is celebrated with great fervour all over the country. In Mathura and Vrindavan - where Lord Krishna spent his childhood and youth, the Janmashtami celebrations are quite elaborate. 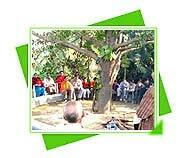 Kampilya called Kampil today, is a village in Tehsil Kasganj of Etah district, situated on the banks of the Ganga. 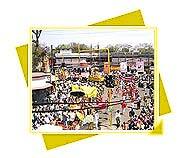 Varanasi is the earth of festivals. Kartik Poornima celebrated in the month of November-December is the holy day, when the ghats of Varanasi come alive with thousands of brightly-lit earthen lamps. 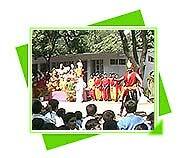 This fair is held in mid October during the Navratri days. Over fifty thousand public assembles to contribute in the activities. Lolark Shasthi falling on the 6th day of the bright half of Bhadrapad matching to the later half of August is an additional festive occasion of Varanasi. 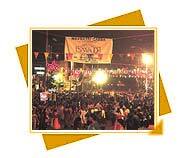 Lucknow Festival held in the months of November-December captures the undying stylishness and splendours of Awadh, now Lucknow. On the day of Mata Murti Ka Mela, the mother of Shri Badrinathji is worshipped, and a large fair held at the Badrinath Temple in the month of September. 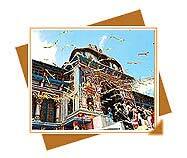 It lasts for nine days in honour of the nine manifestations of Durga. 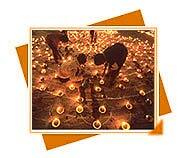 During Navaratri (the word literally means "nine nights") devotees of Durga observe a fast. 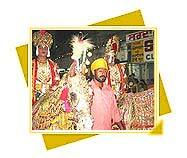 The marriage procession of Sri Ram called as 'Rambarat' is held every year, during Ramlila celebrations at Agra. 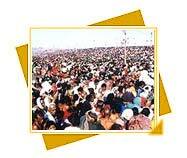 Ram Lila, the enactment of the story of Lord Rama is believed to have been started by great Saint Tulsidas. 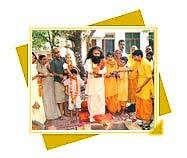 Ayodhya, the holy city of the holy pilgrim centre of Hindus plays host to the Ramnavmi Festival in the month of April. 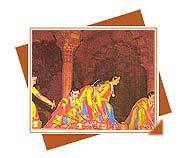 The Taj Mahotsav, held in the February, at Agra is an apt introduction to the majesty of the country and the state. 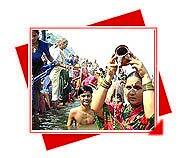 This festival is celebrated in the Shukla Paksha of Shravana, coresponding to the month of August. This is an vital bathing day. All Hindus observe it. 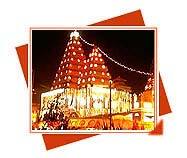 It is also known as Magh Sukla Panchami as it falls in the month of Magh (January-February).